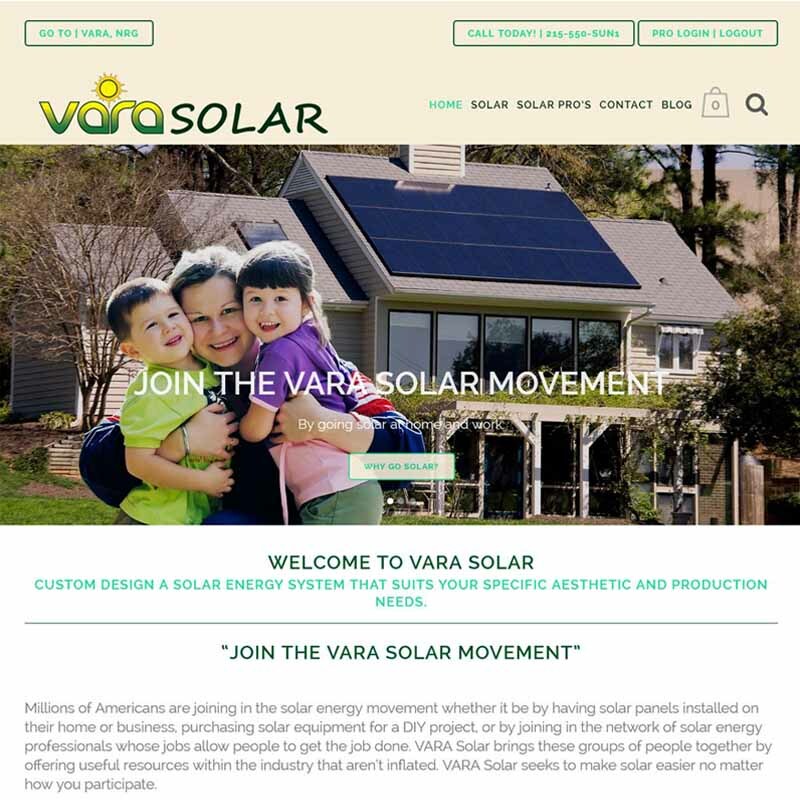 At the first meeting with Jeffrey Guevara, owner of VARA NRG and VARA Solar it was apparent that he wanted a website design that was visually and content rich. And it was not content for contents sake. It needed to draw the consumer and professional into the site. Every graphic, image and piece of text was scrutinized to ensure that it was a proper fit for the page and overall site. The end result speaks for itself. The main challenge was that this site has two audiences; the consumer and the professional. There will be two shopping carts for products and services. In addition the content to the PROFESSIONAL is login protected. What that means is that the content is not visible until you login to the site. Becoming a member requires authorization after the form is filled out and sent. Once approved the member can login and have access to the entire Pro Portal side resources. A custom menu was created for the Pro Portal Resources. The last piece and a very important part was linking the VARA Solar site to the parent company, VARA NRG. That was accomplished with a link button in the top header section oriented to the left. On a single click the parent company website will be launched in a new window. The SEO was created on-page for each site to enable them to GET FOUND ONLINE.